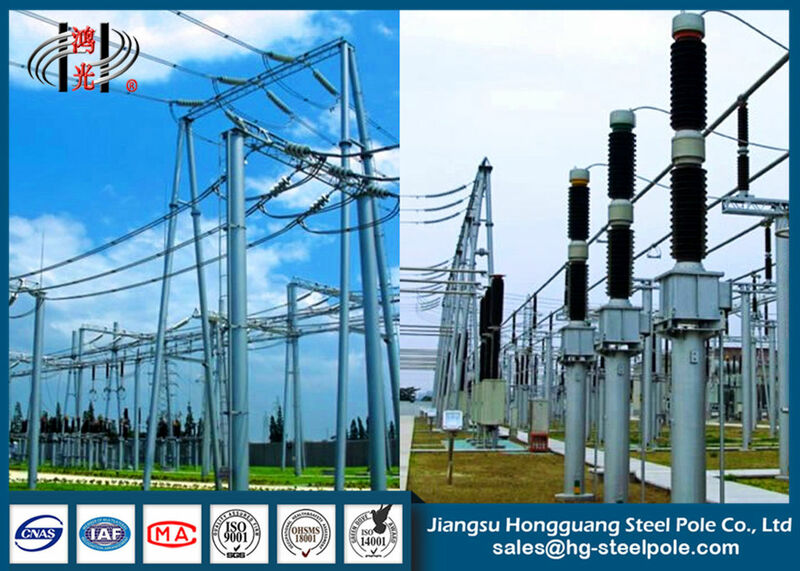 The quality of 230kV Steel Poles is very good and we are satisfied with its production performance, early delivery and good technical service. Thanks for your high quality lighting poles and early delivery. You are our good OEM factory, hope we could cooperate more with each other. * Covered by Plastic Wrap or Mat or according to client's requests. * The Loading Pcs of Each Container could be calculated according to client's specification and data. Q235, Q345, Q420, Q460, Gr.50, Gr.65, SS400, Etc. Welding complies with AWS D1.1 standard. Joint with insert mode, flange mode. 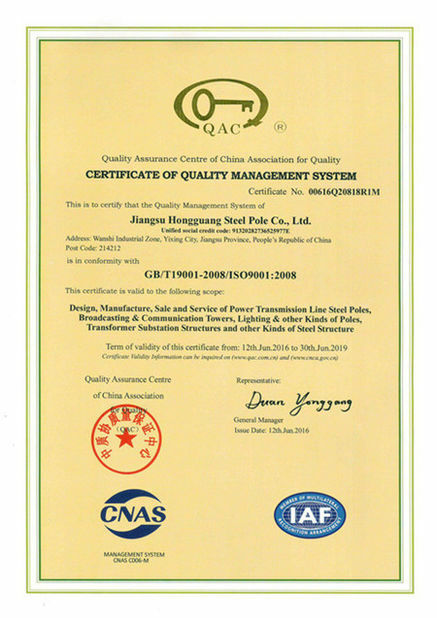 Hot dip galvanization in accordance with Chinese standard GB/T 13912-2002 and American standard ASTM A123. 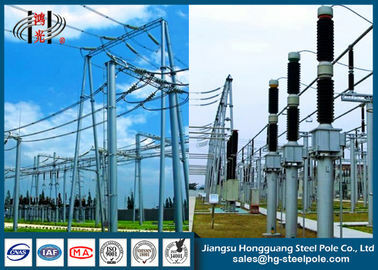 The electrical substation steel structure is the main load supporting structures of substation, so its quality has direct relation with the safety and reliability of power grid operation. 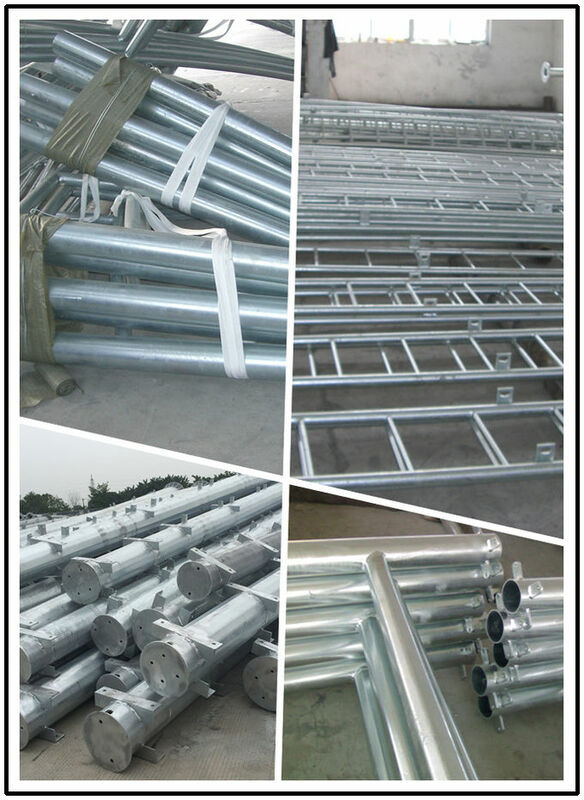 Our company has 17 years' manufacturing experience as well as advanced equipment, excellent technical staff and mature technology, which will assure the welding quality of steel structures, the galvanization quality and the firmness. Meanwhile, we have a whole set of quality test equipment to determine the physical properties and sizes of all steel structures, ensuring the desirable quality of the whole electrical substation structures. 1. Price Term: EXW, FOB, CFR or CIF. Please provide drawings if you have so that we can calculate the accurate price for you. We also provide design according to your requests, if you don't have drawings. 2. MOQ: One 40FT Container. 3. Payment Term: Typically 30% by T/T as deposit, balance by T/T or L/C at sight before shipment. Other payment way can be negotiated. 4. Delivery Time: 2 weeks per container after PO/drawing/prepayment confirmed. 5. Package: Normally wrapped by plastic bags or burlap cloth at the top and bottom, or according to clients requirement. Material: Q235 , Q345 , Gr.50 , Gr.65 , SS400 , etc. Material: Q235 , Q345 , Q420 , Q460 , Gr.50 , Gr.65 , SS400 , etc. 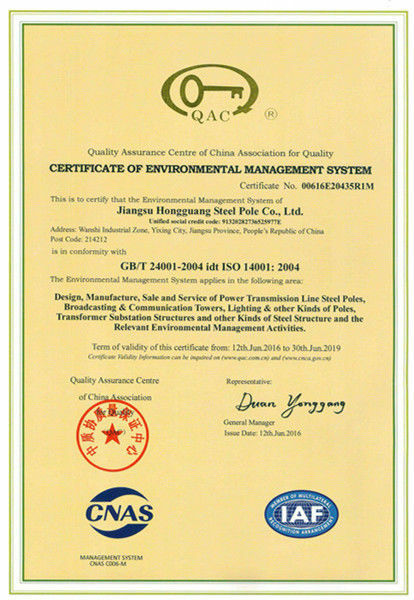 China Good Quality Steel Tubular Pole Supplier. Copyright © 2016 - 2019 steel-tubularpole.com. All Rights Reserved.